I love Ys VIII; I imported the Japanese Vita release back in 2016 and played it through to completion several times. When I played through it again for the western PS4 release, I went to the trouble of getting the platinum trophy before anyone else could. I'd like to say that I know this game like the back of my hand at this point, which is what has made the continuing controversy surrounding the title all the more painful. Retranslation patches, botched PC ports, and a boatload of delays have made talking about the game in a positive light especially difficult. Unfortunately, that also rings true for this Nintendo Switch version of the game. 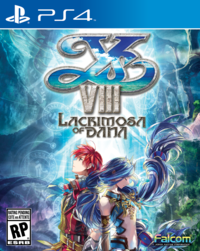 If you haven't already read Josh's review of the PlayStation 4 version, you should - but to sum it up, Ys VIII: Lacrimosa of Dana tasks players with exploring and eventually escaping Seiren Island: an island that Adventurer Adol Christin finds himself marooned on, along with the rest of the passengers aboard the ship the Lombardia. Players, naturally, adventure across the Island - finding castaways, bringing them back to "Castaway Village", in turn building the makeshift town up all the while discovering more and more of the mysteries of the island. It's a neat hook, and the first part of Adol's journey is especially open-ended, giving players plenty of reasons to explore. Eventually, the story does take off and the game becomes considerably more linear, but even then there's almost always places for you to discover off of the beaten path. Interspersed across the Island are dungeons, crawling with their own environmental gimmicks, platforming challenges and the like. Not all of these dungeons are required visits, but you'll always find something worth your while in their depths - whether it be items, a castaway, location points, or more. That's just one part of Ys VIII's identity, however. 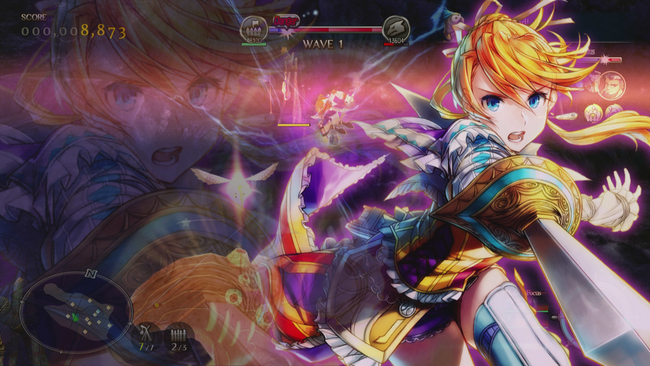 The game's combat is fast-paced, with a nice blend of depth and accessibility. You're never challenged too hard but it's something that never really gets boring either - certain enemies are weak to certain attacks, which a select number of your party members may employ. Hacking away at an enemy with the right type of attack will eventually weaken them, allowing them to be dispatched relatively quickly. Attacking enemies with your normal combos builds up energy that can be used for "skills" that have both special effects and tend to deal more damage, while also building up another gauge that once filled can be used to execute screen-filling attacks that will take a considerable chunk of health out of a bosses health pool and almost assuredly wipe your screen of any regular enemies. The combat, along with flash move and flash guard, is just hectic fun - and there's a lot to be said for the fact that the game constantly has you using different characters with their own unique movesets. It helps keep the game's "energy" alive, an essential part of the games experience that quickly becomes obvious by listening to the soundtrack as soon as you find yourself on the Island. None of that changes on Switch, but it's more than a little disappointing that the game couldn't have received a better port at launch. Previously I stated in my E3 impressions that the game ran at 720p/30FPS in both handheld and docked mode. Sadly, that isn't the full picture. While docked does sometimes see the game rising above 720p in select scenes, in others it appears to actually dip below that target. In handheld mode, things get even messier with some scenes appearing to render at a resolution below 480p. Most of the time the resolution does indeed hover closer to that 720p target, but the drops are simply impossible to ignore. The same, unfortunately, goes for framerate. 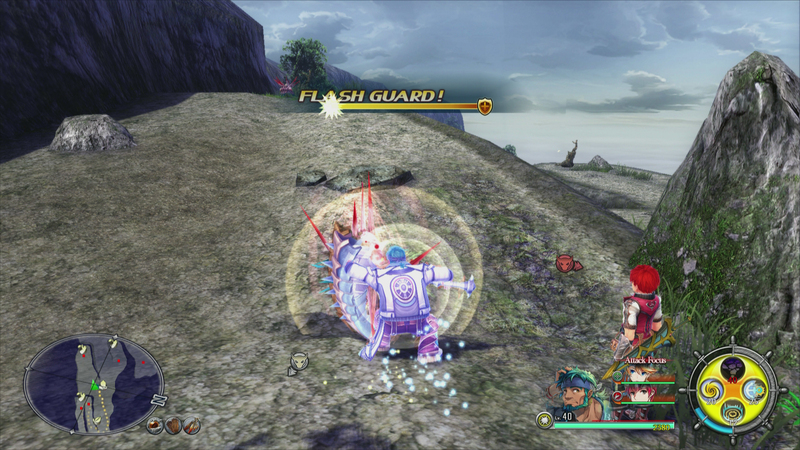 Framerate is much more steady than the original PlayStation Vita version, but anyone familiar with the state of Ys VIII's initial release should know that doesn't exactly sing high praises for this port. Most of the time the framerate is steady at 30FPS in both modes, but during cutscenes, when entering new areas, and even in specific scenes with a lot of characters or enemies rendered the framerate undoubtedly dips. It's playable most of the time, but compounded with the dynamic resolution I can't help but feel the technical aspects of the port could've been improved. For NIS' credit, the Switch version is actually based on the PlayStation 4 version of the game, complete with most of that version's visual enhancements - as well as the significant amount of extra content added to that release. Ys VIII on Switch is a polarizing experience. It does some things so well, such as offering the full breadth of PS4 content on the go and a mostly solid framerate - but resolution woes, a translation that still leaves a lot to be desired despite seeing an overhaul, and more makes it somewhat hard to recommend this version of the game if you have access to a PS4. NISA plans to release a set of patches over the next few weeks to help bring the port more up to snuff, but things should've been better from the start. It's not all bad, and portability certainly counts for something, but one can't help but feel as if this is just one more misstep, laying a path in the sand.